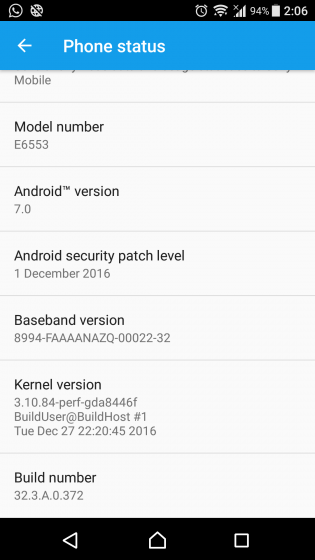 Sony Mobile commenced its Android 7.0 Nougat rollout to the Xperia Z5 range yesterday, with build number 32.3.A.0.372. Well a day later, Sony is now seeding Nougat for the Xperia Z3+ and Z3+ Dual with the same firmware build. 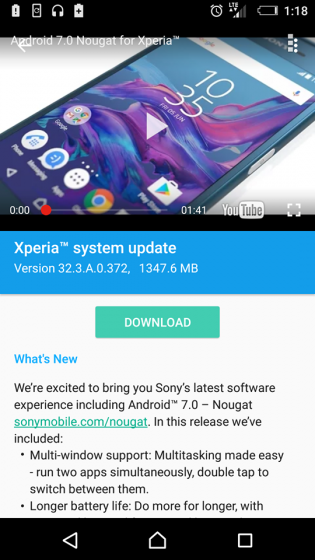 Expect the update to be identical to the one rolling to Xperia Z5 users – if you are an Xperia Z3+ user and looking for impressions, you may want to hit our previous post to check out how Xperia Z5 owners have reacted to the update. We will include FTF firmware links for the update as soon as we can. Thanks Abhinav, KÎLLÎ, Mikesh, Nebojsa, Ravi, Samar, SaadAQ099 and Thomas and Vi Ren!